Manaslu Circuit Trek is one of the challenging treks in Nepal. 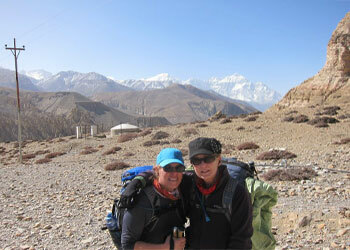 The round Manaslu Trek will reward the adventurers with a tremendous alpine enjoy. Opened in 1992, this location gives a aggregate of rich way of life history, unsurpassed splendor, and natural variety. Trekking around Manaslu offers a unique opportunity to experience a reasonably “untouched” region of Nepal and super beauty along the border of Nepal and China. Manaslu Trek is genuinely one of the excellent Treks in Nepal, a trek of remarkable ethnic and scenic range, breathtaking perspectives of Mt. Himalchuli, Mt. Ganesh Himal, Mt. Manaslu (eight,163m) itself and different mountains. About 10 peaks of over 6500 meters are considered. This trekking is going thru the lovely panorama and flora and fauna. 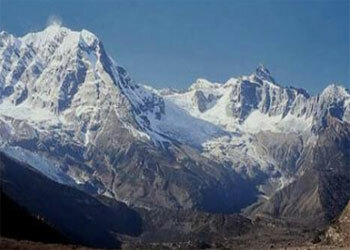 Manaslu Conservation area is the number one focal element of this trek. Having an in-depth sort of attitudinal and climatic versions, the Manaslu Trekking gives a high-quality, and numerous habitats for a precious kind of flora and fauna, plant life of all ecological zones: tropical, sub-tropical, temperate, alpine and sub-alpine are discovered abundantly here. The journey around Manaslu region’s legendary mountains is enjoyable and difficult. Starting from Gorkha Budi Gandaki Valley River, we will be crossing the snowbound Larkya La pass (5213m). Snow-included peaks over 6500m towers. The descent, once off the snow, takes us thru alpine then tropical areas, bursting with ferns, bamboo, pine timber, waterfalls and aqua-blue-green lakes laced with cotton-white beaches. We pass via exciting and one of a kind Buddhist village of Samagaon, Sirdibas, and Samdo and pass the numb valley to descend to Marsyangdi valley in Annapurna circuit path wherein Manaslu Trekking leads to Besisahar. Few trekkers have been in this area, this trek encircling the whole Manaslu massif supplies a risk to comprehensively find out the entire variety of Nepal’s herbal and cultural variation. Manaslu circuit trek can be amply rewarded with the enthralling environment and fascinating cultures and traditions of the primitive population of the Manaslu region. The type of the trek, from the Hindu center hills to the Tibetan high country dwellers and the superb mountain scenery of the Manaslu Himal and surrounding peaks integrate to make Manaslu trekking circuit taken into consideration one in all a fascinating trekking. Day 01: - Greetings at Kathmandu Airport (1320m/4331ft) Transfer to hotel. Day 02: - A full day sightseeing tour of Kathmandu, the capital valley & Permit Making day. The very next morning, after breakfast you will leave for a full day sightseeing tour around Kathmandu valley. You can visit sacred Pashupatinath Temple and Swyambhunath, very ancient and essentially enlisted in UNESCO World Heritage sites. The biggest Buddhist Stupa at Boudhnath and the fine arts and historical architecture of Kathmandu Durbar Square reflecting the ancient Nepalese culture are highlighted on our guided tour. On return to your hotel you will have time to explore the local area, have dinner and perhaps take a leisurely stroll through the popular streets. Today we will prepare for special permit for the trek please note that we need your original passport and 1 full day Government working day for the trekking permit.Meals included: Breakfast, Lunch an Dinner. We have an 8 hour driving journey to Soti Khol. You drive along the Kathmandu-Pokhara Highway for the first part of the day till Dhading Bensi. From Kathmandu to Dhading Bensi (district headquarter of Dhading 1050m) for 4 hours is comfortable drive and from there to Arughat for another 4 hours, we will be driving on rough road with scenic view of landscape, villages, river, Mt Ganesh Himal and Manaslu. Overnight stay at local guest house.Meals included: Breakfast, Lunch and Dinner. The trail crosses the bridge and treks through beautiful Sal forests, then climbs up onto a ridge above the huge rapids of Budhi Gandaki and follows a path blasted out of vertical rock to Khorsane (820m). The route gets a bit precarious as it passes over a big rock and crosses a stream. The rocky trail then weaves it way up and down through large stand of nettles, passes tropical waterfalls and again backs down to the bank of Budhi Gandaki. Some parts of the trail are particularly narrow and suffer from landslides and require extra care especially when mule convoys are around. The trail eventually makes it way down and past a few rice terraces on a steep rocky trail and down then up around to the Gurung village of LabuBesi.Meals included: Breakfast, Lunch and Dinner. The path climbs behind a rocky outcrop. The trail makes some minor ups and down. Dropping to the sandy river bed at 860m from LabuBesi and climbing about 110m over a side ridge to bring you to Maccha Khola village (900m). Crossing Tharo Khola reach to Khorlabesi and climbing over a small ridge, make another steep climbing, the route reaches Tatopani (930m), which means ‘hot water’. From the hot spring the trail climbs over another ridge and crosses the Budhi Gandaki and climbs on a wide, well crafted staircase over a ridge to Doban. This place is situated at the confluence of 2 rivers, the Shiar khola and Sarpu khola.Meals included: Breakfast, Lunch and Dinner. A ling suspension bridge carries the trail over the Doban Khola. The route stays low at first and then climbs on a rugged rocky trail to Duman. Crossing a 93m long suspension bridge over the Yaru Khola (1330m) and climbing some stone stairs you reach to Tharo Bharyang. Trekking along the river for a while and climbing through small villages, you get to Jagat which is a beautiful flag stone village. There is a good camp site in town and another below the village by the Bhalu Khola.Meals included: Breakfast, Lunch and Dinner. Meals included: Breakfast, Lunch an Dinner. Pass a few houses and three streams in a forest of big fir alive with birds including Danphe (national bird of Nepal). The trails make a serious and long climb through bamboo and rhododendron forests crossing the river several times. The trail crosses the Budhi Gandaki twice on wooden bridges above beautiful gorges before entering Namrung through a stone archway. Namrung is a Buddhist village where there are monasteries, a water turbine, hydro electricity power house, Mani walls, chortens and prayer flags which can be seen fluttering in the sky.Meals included: Breakfast, Lunch an Dinner. You trek over a winding path which moves through the inner Himalayan range enjoying mountain views of Rupina la pass, Mt. Manaslu, Gorkha Himal, Dwijen Himal, Saula Himal, Lajing peak, and many other snow capped mountains and peaks. Climbing through a forest of firs, rhododendrons and oaks the trail enters the closely packed houses of Lihi (2900m) and several Buddhist villages along the way. These areas have been influenced by the Tibetan culture due to its proximity to Tibet, and as a result you will find many monasteries, chortens and mani-walls. Having over one hundred and fifty houses, Samagaon is surprisingly large and bustles with the energy of remote village life. From Samagaon you can see Mt. Manaslu and the Kutang Himal Massif.Meals included: Breakfast, Lunch an Dinner. It is recommended to rest in Samagaon for more than one night for acclimatization enjoying the village and a short trip to Manaslu Base Camp or Punggen Gompa. 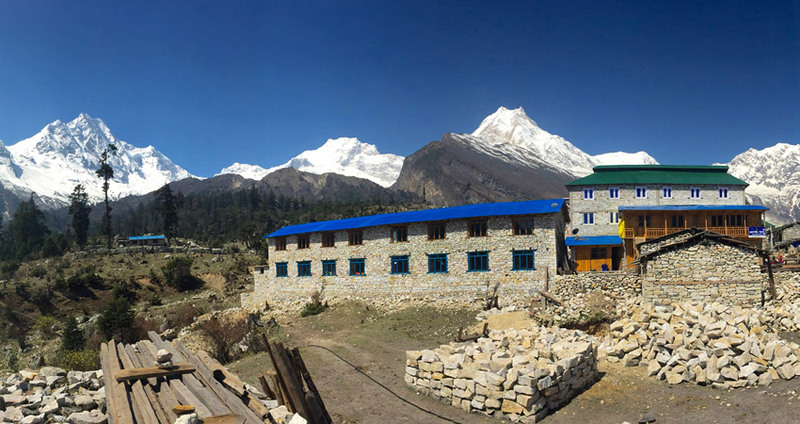 Surrounded by mountains in a peaceful forest you can hike to Manaslu Base Camp for excellent views of Samdo (Pang phuchuli); Nagdi chuli, Simnang Himal, Manaslu glacier, Manaslu ice fall.Meals included: Breakfast, Lunch and Dinner. You trek gently uphill all the way to Samdo through a desert path and windy valley. From Kargyu Chholing Gompa the route passes the juniper and birch forest and the stone hut of Kermo Kharka. It climbs gradually towards Samdo, and just before entering the village passes through the point where the Budhi Gandaki actually starts – at the confluence of Larke Khola and the river coming from Samdo Glacier. Samdo is the site of a Tibetan refugee camp and affords you a rare glimpse into the lifestyle of the Tibetan people. This is an excellent view point for Mt. Manaslu, Samdo (Pang phuchuli), Nagdi chuli, Simnang Himal, Manaslu glacier, Manaslu ice fall and several other majestic peals.Stay at local guest house.Meals included: Breakfast, Lunch an Dinner. Descend on a wide, gentle trail from Samdo past many fields to a large Mani wall and stone archway. The trail is rocky and zigzags all the way to your destination. The thundering Buri Gandaki trickles to a stream as we continue to follow its course ever upwards surrounded by spectacular mountains from all sides. After crossing to the east bank of the river, we reach the last permanent settlement in the valley, which is called Sumdu. Above the village we cross the stream, which runs down from the Gya La (Pass), the pass to Tibet. We come to the ruins of an abandoned village, known as Larkya Bazaar. The trail rises high above the Larke Khola leading the all the way to Dharmashala where the trail finally meets the river.Meals included: Breakfast, Lunch and Dinner. The trail becomes rocky as it goes along a moraine and reaches a beautiful turquoise lake that reflects the surrounding snowy mountains. The trail becomes somewhat tedious as it climbs on numerous rocky moraines hills surrounded by rocky hills and snowy ridges beyond. This is a more strenuous day as have to cross over the Larkya Pass (5213m). The interesting Larke Pass is followed by a steep tiresome descend down through a slippery trail towards the moraine of Salpudanda glacier. The trail then becomes gradual as it goes along the moraine and parallel to Bimtang glacier towards Bimtang. From here, there are tremendous views of Himlung Himal (7126m), Cheo Himal (6820m), Gyaji Kung (7030m), Kang Guru (6981m) and Annapurna II (7937m). Bimtang is a broad and level ablation valley with a number of Mani walls and deserted houses.Meals included: Breakfast, Lunch and Dinner. The trail drops from Bimtang and crosses a glacial stream, the headwater of Dudh Khola on a wooden bridge. Make a gradual descent through rhododendron and pine forest seeing the north face of Manaslu along the way. You reach the highest cultivated land in this valley of Karche at 2785m and walking down you cross a stream through fig tree and rhododendron forests to reach Tilje. We will make camp in the apple orchards of Tilje.Meals included: Breakfast, Lunch and Dinner. Crossing this high pasture, you descend the valley of the Burdin Khola to the area of the Base Camp for the West side of Manaslu. You trek all the way over a descended path along the bank of Dudh Khola (river) and Marsyangdi River. Another bridge takes you over the Marsyangdi River to Dharapani (1920m), where you join the Annapurna tourist highway and start missing the quiet days in Manaslu where you had Nepal almost all to yourself. It takes half a day to continue on to Tal where the river appears as a lake and make camp next to a waterfall going down the Marsyangdi river trail.Meals included: Breakfast, Lunch and Dinner. The down part of the trail has road now so we can take a local jeep or bus to Besisahar and from there bus to Kathmandu, we can stay overnight at Besisahar and can drive to Kathmandu also next day.Meals included: Breakfast and Lunch.